Here's a card today for the Less is More Challenge week 166 where the colour theme is TURQUOISE. 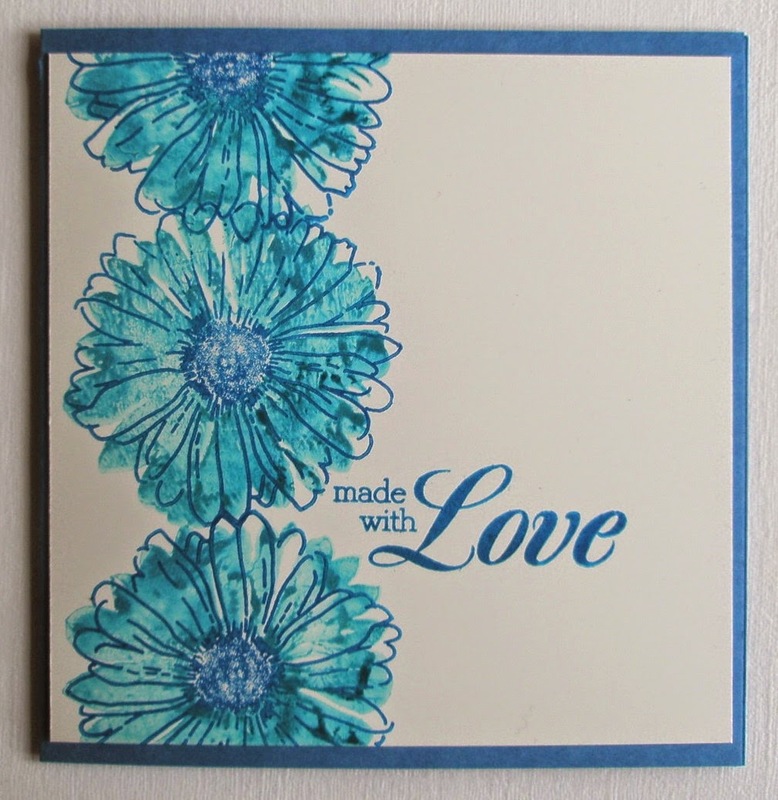 I had a rummage through my stamps and decided to use the Double Daisy stamp from Oak House Studio - I've inked the solid stamp with Nick Bantok's Cerulean Blue and then stamped over this with the daisy outline in Archival Manganese Blue ....so two shades of turquoise. The sentiment is from my favourite Hero Arts set. Thanks for popping by and if you leave a comment, thank you so much! This card is so sweet and cleverly done. I like how you treated it. Looks FAB. Elaine what a beautiful card! Such a lovely card. I hope you hand gets better quickly so you can get back to more lovely creations!! This is very clever - I love the two tone effect. Hope your wrist is better soon.